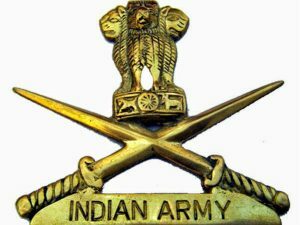 Army Day in India is celebrated with great enthusiasm every year on 15th of January. It has been started celebrating to respect the Lieutenant General of India, K. M. Cariappa (Kodandera Madappa Cariappa) who was the first Indian Army’s Commander-in-Chief. It is celebrated every year at all the Army Command headquarters and national capital by organizing army parades including many other military shows. Army day 2018 will be celebrated on 15th of January, at Monday. It would be celebrated as 70th Indian Army day in the national capital. It is celebrated to pay homage and salute to the courageous and brave Indian soldiers who have been sacrificed their lives for protecting the country. Indian Army General Kodandera Madappa Cariappa was succeeded the British Army General Roy Butcher and became the first Commander-in-Chief of the independent India. Indian Army soldiers are always ready to fight with all the hard times at Indian borders as well as with the natural disasters. (Sena medals, Vishist Seva medals and etc). Subhash Chandra Bose was the ideal person to lead a rebel army into India came from the very beginning of Kikan's work with captured Indian soldiers. Let’s give tribute to Subhash Chandra bose on this Army day.